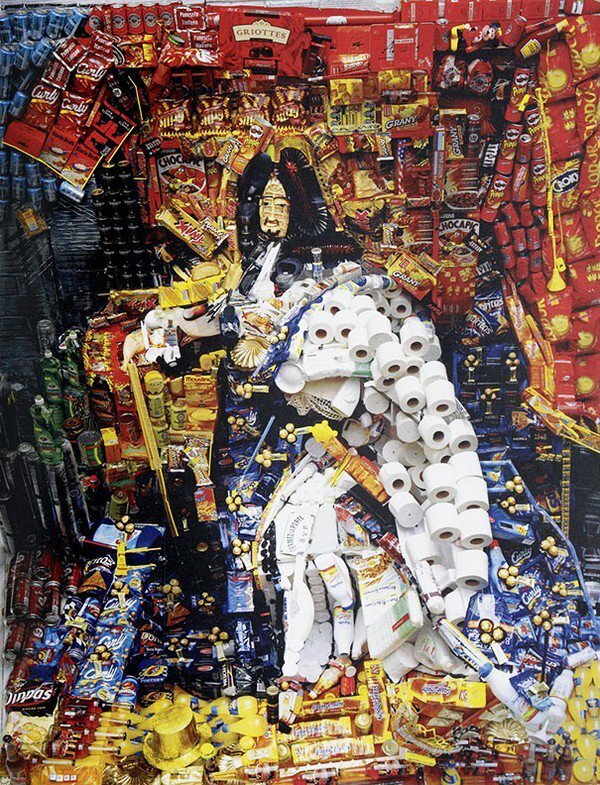 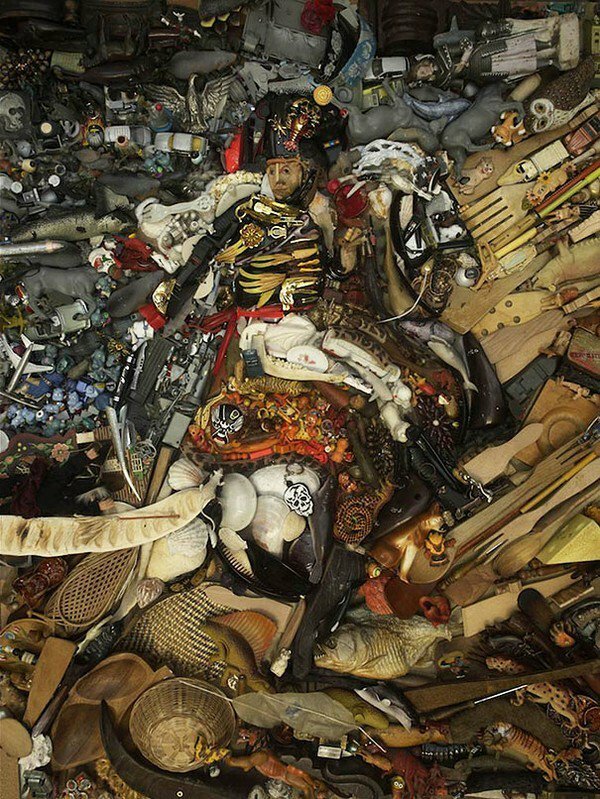 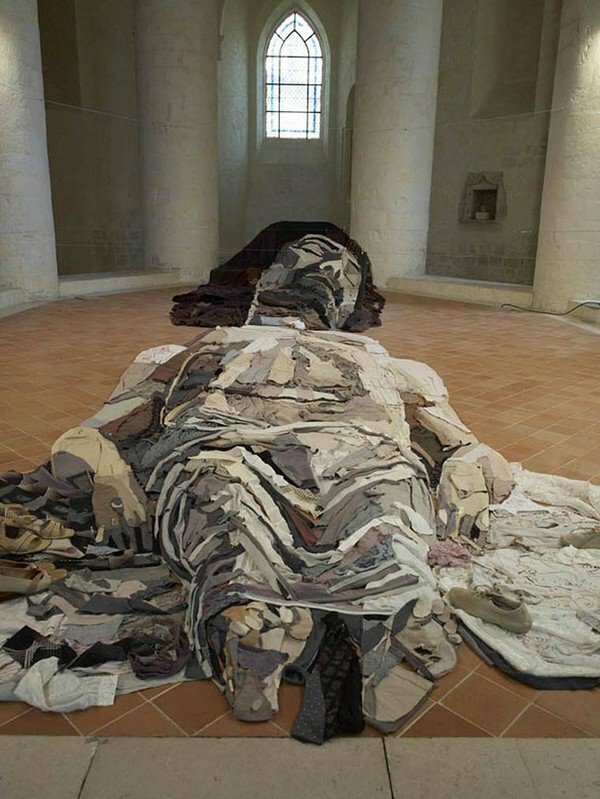 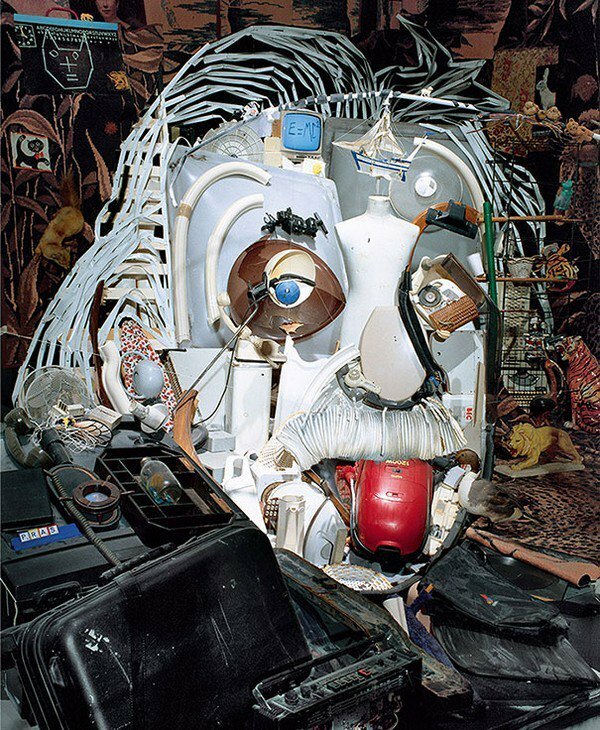 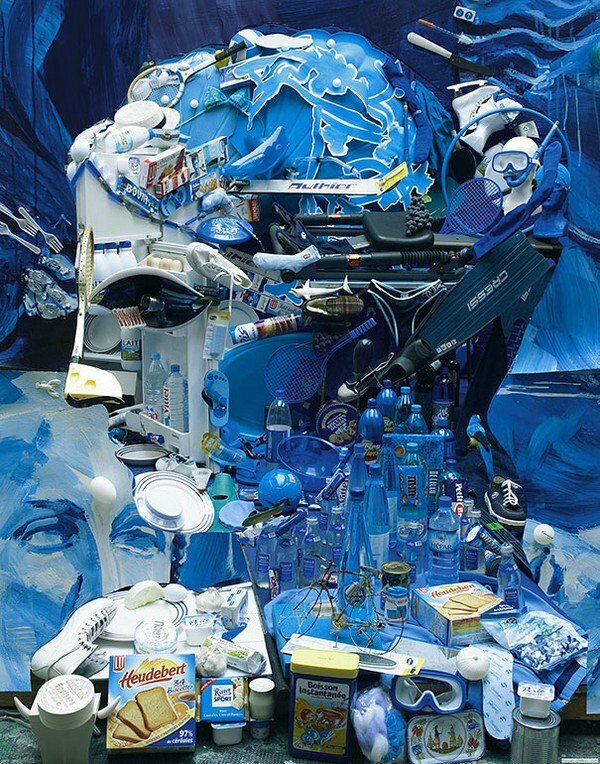 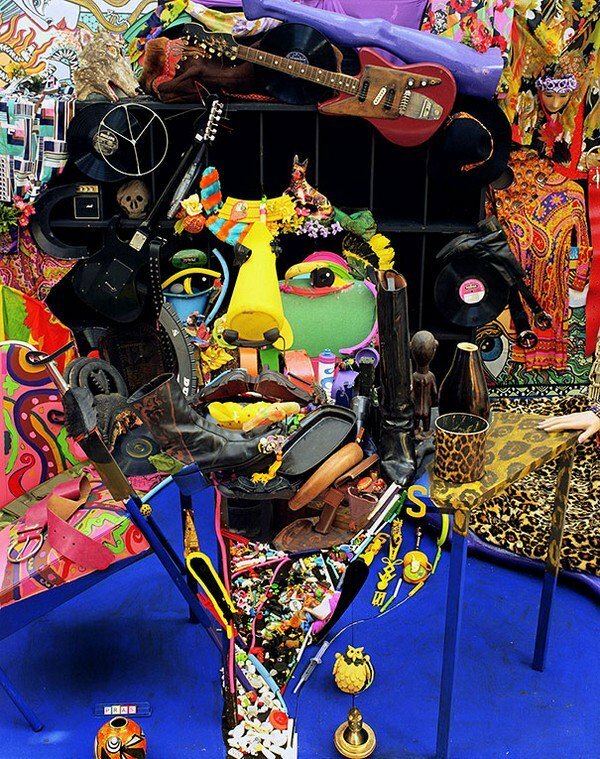 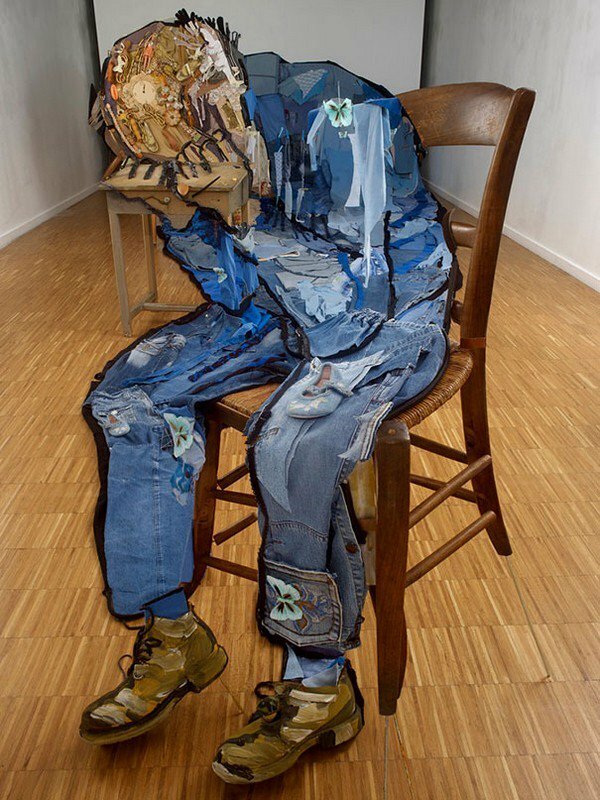 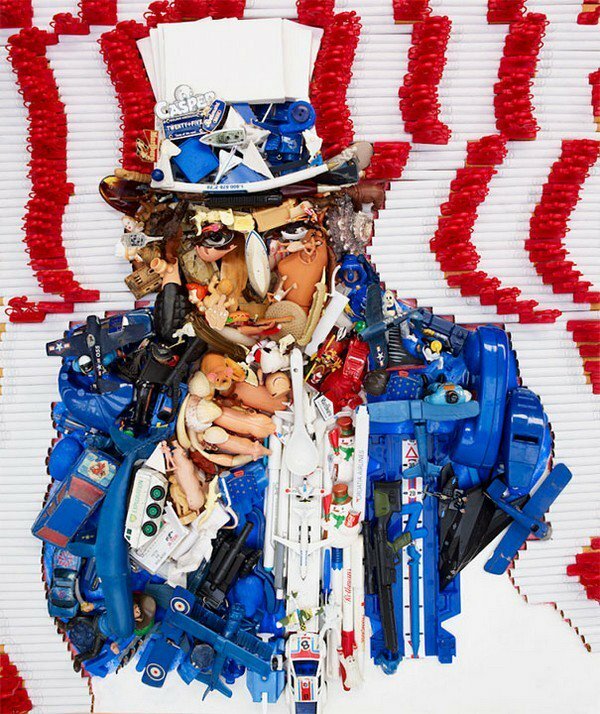 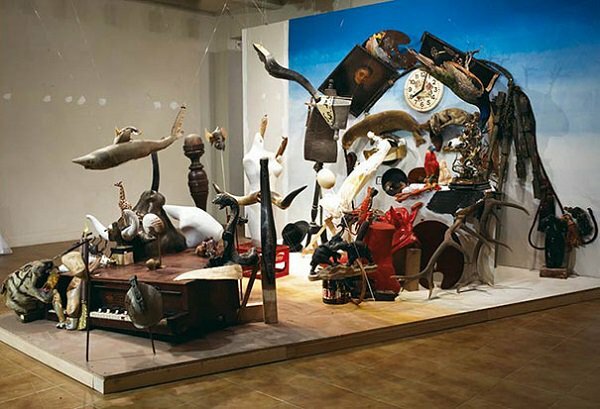 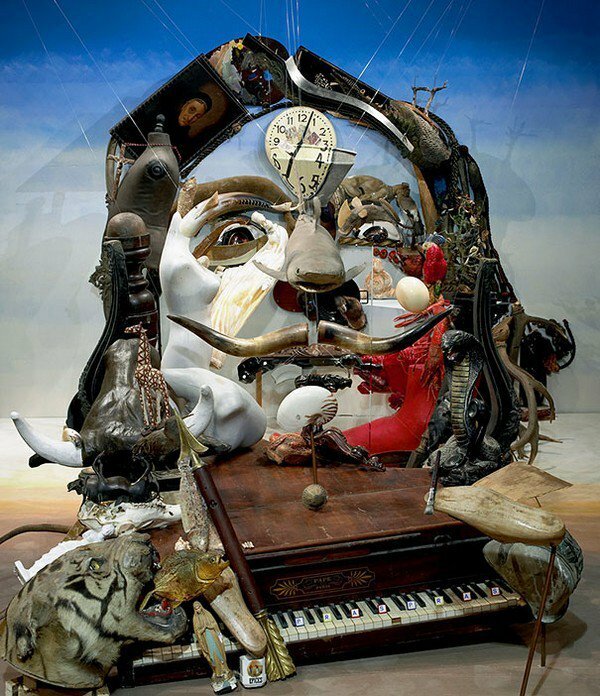 Bernard Pras, a Montreuil based artist who specializes in anamorphosis has created the most incredible series of installations. 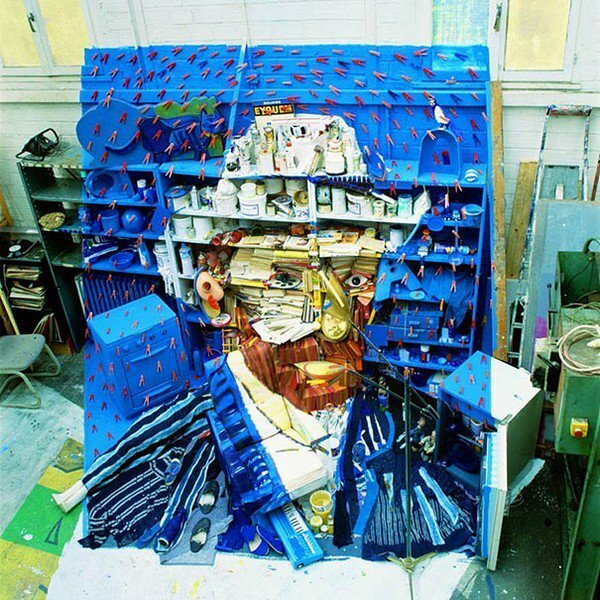 Anamorphosis is a mind bending art form which sees junk and random objects transformed into images or portraits when viewed from a specific angle or with a special device. 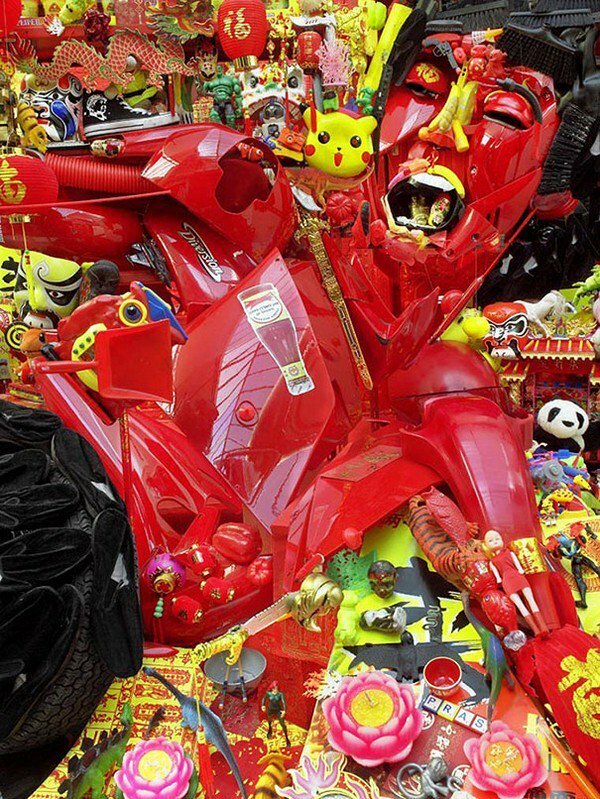 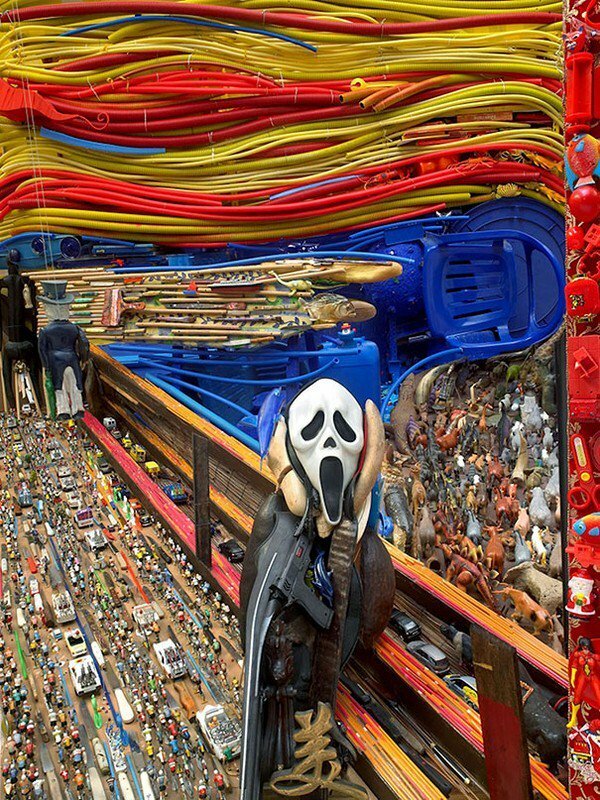 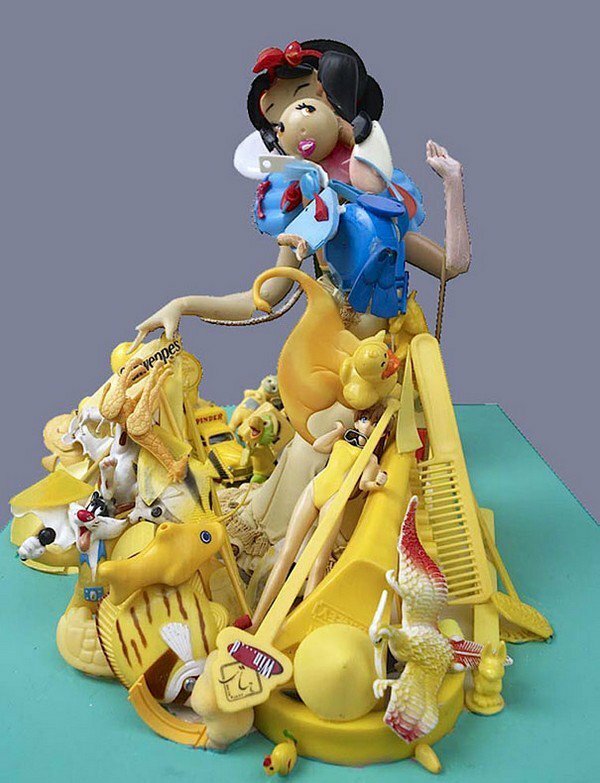 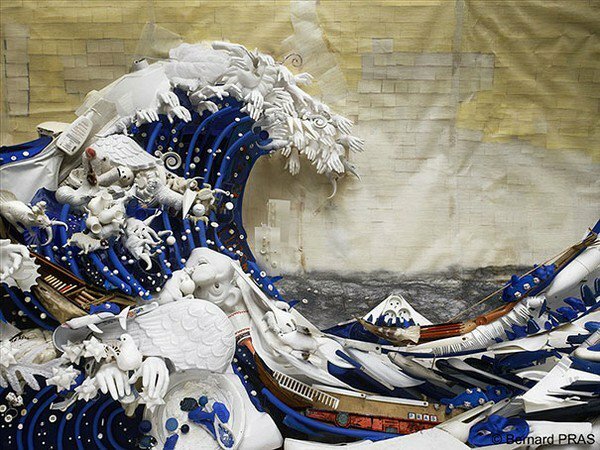 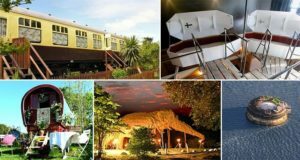 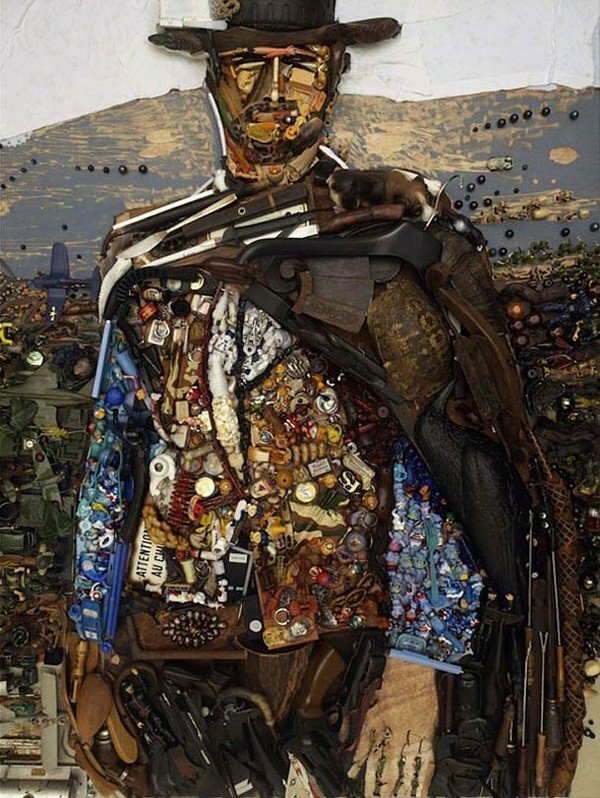 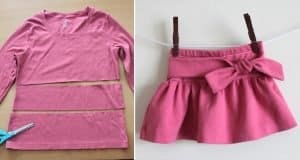 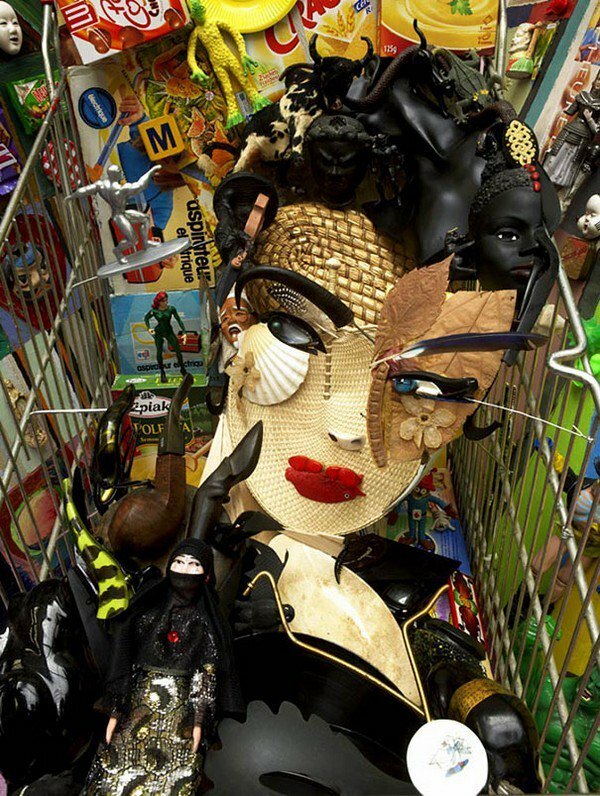 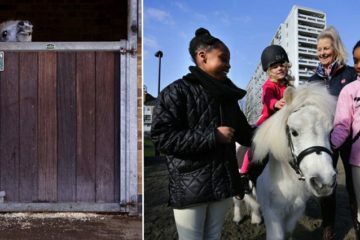 Pras who is one of the foremost artists in his field, has used all sorts of junk like clothes, toys, garbage, and more to create these amazing works of art. 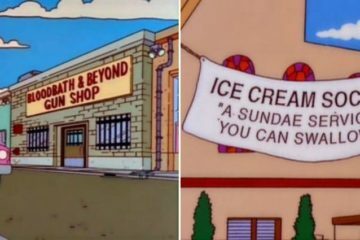 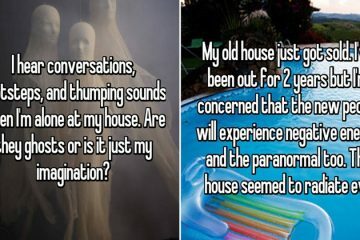 You can look at these for hours and see something new each and every time!